This miraculous visit to New Ekachakra Dhama on Wednesday, April 18th has become another history making event on the TOVP Euro Tour. So much so that we will also include some related lilas that led to the planning and arrival of Lord Nityananda’s Padukas and Lord Nrsimhadeva’s Sitari in Slovakia. The story begins in 2015 with Mahasankarsana prabhu, one of the temple leaders from New Ekachakra Dhama, speaking with Tukarama prabhu in Mayapur. Sukanti Radha devi dasi is the UK TOVP office manager and coordinator of the TOVP 2018 Euro Tour. Many European countries offered to participate at the 2017 Euro GBC meetings in 2017. After praying to Mahaprabhu for help and guidance on how to proceed with the planning of the tour, Sukanti Radha experienced a vision that nine countries would participate. In the meantime and to her surprise, many countries withdrew from their participation and nine countries miraculously remained. She then received a surprising letter from Trilokatma prabhu (New Ekachakra temple president) stating that he was also withdrawing from the tour because the country and devotees were very poor and he didn’t want the TOVP Team to come all the way to Slovakia and not receive any good donations. However, Sukanti Radha convinced Trilokatma that Lord Nityananda wanted to come there at least for a stop-over on the way to Hungary. After all, Ekachakra Dhama is the birth place of Lord Nityananda and He would surely want to pay a short visit to New Ekachakra. The vision of nine countries remained intact and in the end the Slovakia ‘stopover’ on the way to Hungary also became a full-fledged fundraising event. 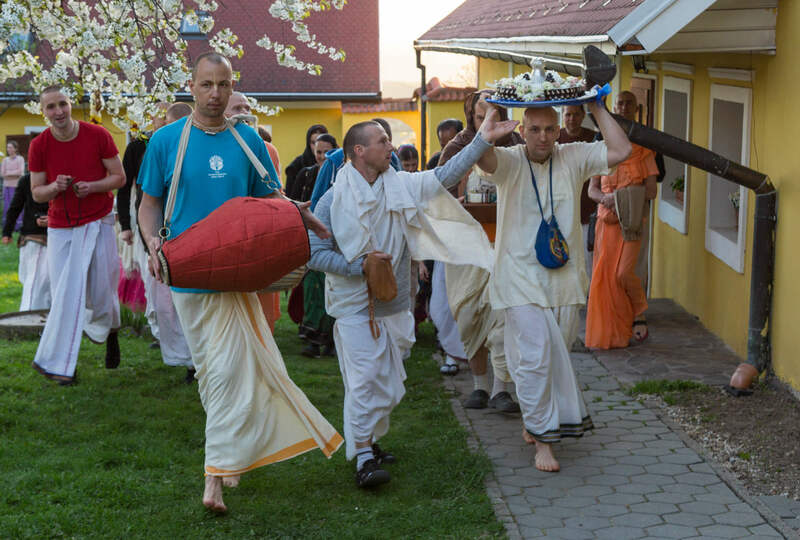 Miraculously and without prior planning, the TOVP Tour arrived in Slovakia on the most auspicious day of Akshaya Tritiya. 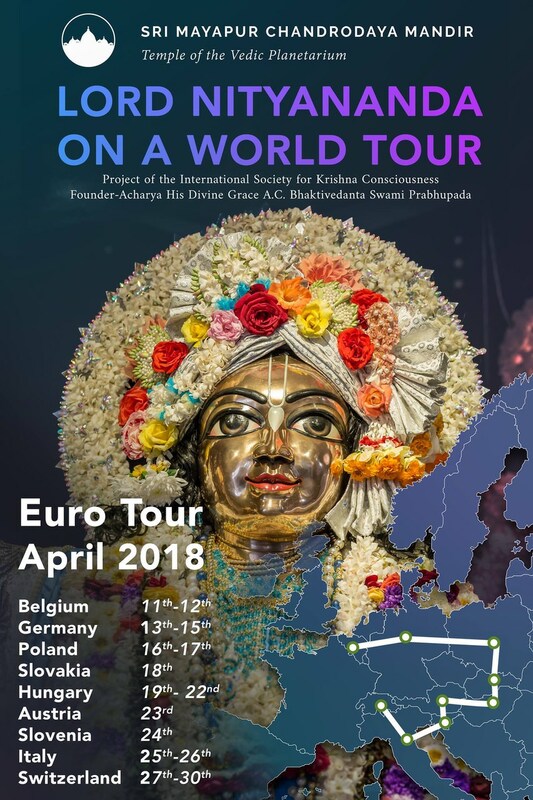 Through the mercy of Mahaprabhu and Lord Nityananda this became a most successful fundraising event that surprised everyone and is now the 3rd highest collection on the transcendental TOVP Euro Tour fundraising score board. The next stop on the tour is Hungary. The complete Euro Tour schedule is below.